Once upon a time my husband was walking back to his office from lunch on a beautiful day beside a lake. He happened to spot a goose by the edge of the water, and for reasons unknown, he started honking at it for fun. Apparently there is a long-standing tradition in his family for making animal noises at the animals themselves. He cheerfully went on his way, until he suddenly heard a whump, whump, whump. And before he knew it the goose he had honked at was on top of his head, beating its wings and basically pummeling him. The goose landed before him and reared up, beating its wings mightily. So my husband ran, past the numerous other office park employees, no doubt gawking at him through the windows as he stumbled away, being thrashed by one pissed-off goose. And that is why my husband loves foie gras. Foie Gras. Delicious and debatable. Until this week, I didn't know that the furor over foie gras had grown to the point that California is now imposing a ban on the delicacy, slated for July 1. The rhetoric has actually gotten violent and creepy as some activists have taken it upon themselves to send threatening e-mails to chefs, and in some cases to stalk the chefs and their families. One even crossed the line by taking pictures of a chef's children and sent them to the chef with a threatening note. Most of the protests over foie gras are not that extreme - most simply picket outside the offending restaurant. You can read a good recap of what's happening on this front here. I've been reading a lot on the subject in the last two days, and there's a lot of information to digest. There are a lot of disturbing images, and a lot of disturbing information about the treatment of the geese that are used to make foie gras. How is foie gras made? By overfeeding geese by a process called gavage, which is the method of sticking a metal tube down its gullet and force-feeding it until the goose's liver fattens and swells to a proportion that takes up most of its body. If that sounds disgusting and disturbing just to produce a delicacy, then, I agree. But I also agree that the way a lot of farms treat chickens, cows, and pigs are unethical. However. I'm a ominvore, and I do my very best to make sure I know where my meat comes from, and how it's treated. I don't always get it right, but it's important to me, and it's important to my family. I also love the taste of foie gras. It's creamy, silky texture, and it's sweet and savory taste, especially when seared or grilled is irresistible. Regrettably, my stomach cannot easily digest foie gras. I have an incredibly sensitive stomach, and it starts with lactose intolerance and ends with the fact that I can't eat french fries without feeling sick. But sometimes I pretend that it doesn't matter and succumb to something like fried chicken. Foie gras in very small doses is a treat. But in a restaurant, it's hard to tell exactly what kind of farm the goose came from. Which brings me to this incredibly fascinating article I read last night about La Belle Farms. It's very long, but meticulous in its reporting, and well-written. A chef who has spent most of her career working with foie gras wanted to find out how a farm might make the process of gavage ethical, and well, gentle. It's an in-depth look at not only this particular farm, but also the entire issue. If you read it all the way through, you'll end up with more knowledge about geese than you ever thought possible. After reading the article, I came to the conclusion that it is a tricky debate in which I can see both sides of the argument. I believe that if these activists spent as much time and energy threatening chefs an picketing on actually trying to make all geese farms ethical and upstanding like La Belle Farms, there might not be a debate. I agree with the chef's final statement: "If you are against the confinement, slaughter, and eating of all animals, then that's a different argument to be had at a different time. But to single out foie as the worst of the worst is misguided at best, and downright manipulative at worst. Just as there are good eggs and bad eggs, good beef and bad beef, good chicken and bad chicken, so there is good foie and bad foie." 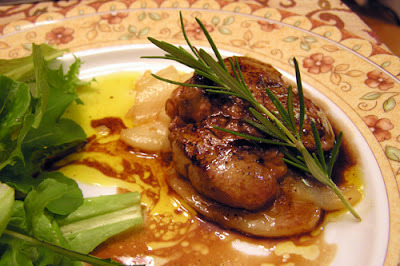 Did you know there are only 3 farms in America that produce foie gras? What if they all became like La Belle Farms? Would it make a difference? Please sound off in the comments, I'm very interested to hear your opinions. I think this is a great article and I have no thoughts yet, other than I'd prefer for geese not to have tubes shoved down their throats. Eek!